A bombshell new report outlines an expected Chinese military game-changer that could catapult its navy to rival global US power on the high seas. 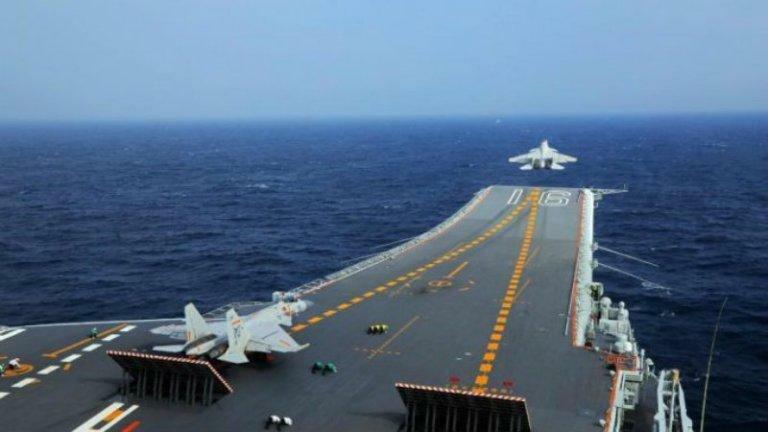 In a push to compete with US naval power, China plans to build four nuclear-powered aircraft carriers expected to be operational by 2035. With China's current single carrier group commissioned in 2012 and another domestic-built carrier on the way (undergoing sea tests), this would bring Chinese naval strength up to six carrier battle groups. By comparison the United States has 11 nuclear-powered carriers in operation (and 9 other amphibious warfare ships that could be considered small carriers). Such a rapid advance in Beijing's sea capabilities would far outpace other countries except for the US, as no other country has more than two. Currently the only other active nuclear powered carrier in the world today is France's Charles de Gaulle, though India also has plans to build one, and Russia is in an exploratory phase. The South China Morning Post (SCMP) cites multiple Chinese military experts, some of them with close ties to the People's Liberation Army (PLA), in its latest report on Beijing's massive long term strategic shift in defense planning. The PLA announced major changes last month which aim to transform it into a modern fighting force taking its focus away from land-based fighting which has defined much of the 20th century since WWII while boosting its navy, air force and new strategic units focused on emerging hi-tech threats such as cyberwarfare. 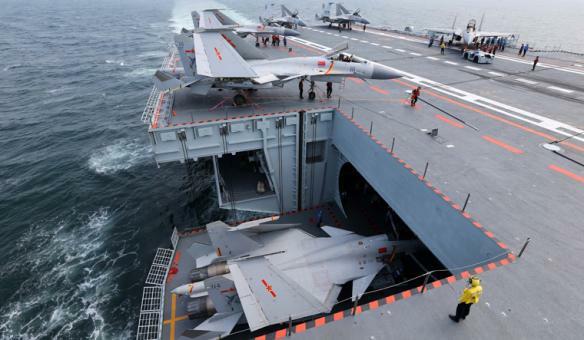 All of China’s new carriers were expected to be equipped with electromagnetic catapults similar to those used by the United States, the experts said. The US’ electromagnetic aircraft launch system, known as EMALS, can launch more aircraft more rapidly than the older diesel systems. This is part of a major push, one naval expert and retired PLA destroyer naval officer named Wang Yunfei told the SCMP, to "close the gap" with US capabilities: “The country needs to keep developing until it is at the same level as the United States,” he said. Though it might be expected that China's current economic slowdown amidst an ongoing and unpredictable trade war with the US could put a temporary halt to the ambitious plans, the Chinese analysts noted that military authorities have promised that under no circumstances would investment in the projects be cut: “Even if the economic downturn has an effect, we can adjust proportions in total military expenditure to make sure naval modernization keeps going,” Wang said. “For example, we can cut the number of new tanks. “The budget for military modernization will not be cut, even if [Beijing] decided to [use force to] reunify Taiwan,” the military analyst continued. “In a war scenario, [Beijing] may reduce spending on things like infrastructure, but it would increase military expenditure.” Wang further described that Chinese engineers were developing a next-generation carrier-based fighter, another planned stealth fighter in addition to the Chengdu J-20. The carrier plans are part of President Xi Jinping's recent order the PLA to rapidly modernize by 2035 and compete at the top of world powers by 2050, which another China-based military expert, Song Zhongping, acknowledged would be a massive leap closer to the US Navy's clear superiority; however, he cautioned that lack of Chinese naval combat experience remains a "key shortcoming". 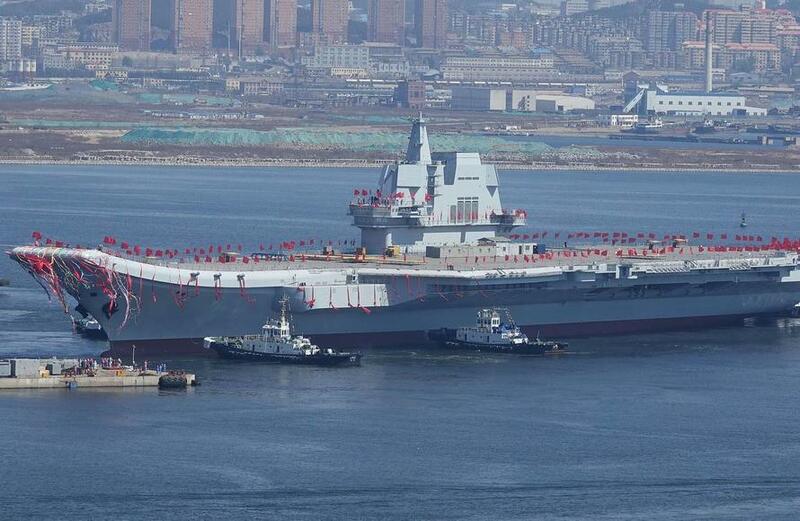 China's first domestically built aircraft carrier, still undergoing sea tests. But regardless, significant development toward a future planned-for four nuclear carriers added to the PLA would most certainly be alarming to US defense planners. Nuclear carriers are capable of traveling anywhere in the world, assuming the water is deep enough, for somewhere between 20 and 40 years without refueling — a huge naval advantage. With China's army now elsewhere reported to be taking a backseat in terms of defense prioritization, Beijing is expected to continue shifting away from mere homeland-based defensive posture to engaging threats by air and sea, increasingly in disputed waters in places like the East and South China, and in protection of its interests abroad, further as its "Belt and Road Initiative" continues to take root.